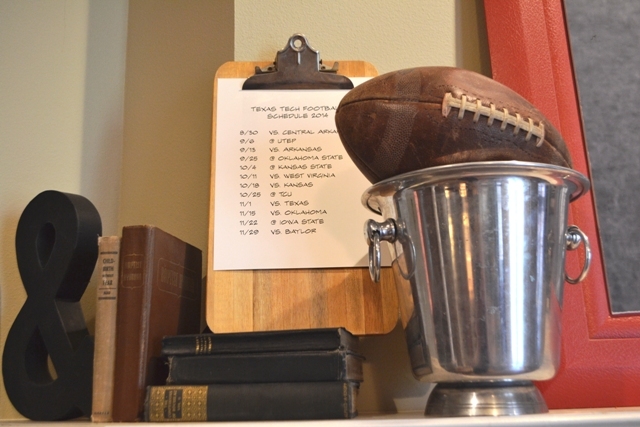 As soon as September arrived, I felt an itch to put up festive mantle decorations, but I wasn’t quite ready to deck it out for Halloween… so I went with a football theme! 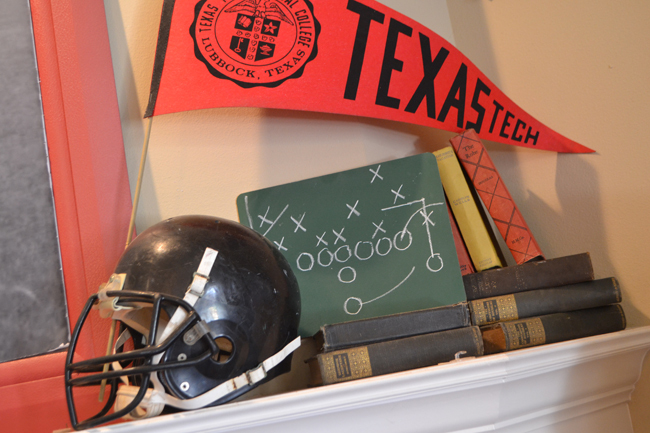 For the other side, I found a few treasures on ebay: a youth football helmet ($11), a personal chalk board ($4) and a Texas Tech pennant (from concessions stand sales in the 70’s, brand new condition, $12). 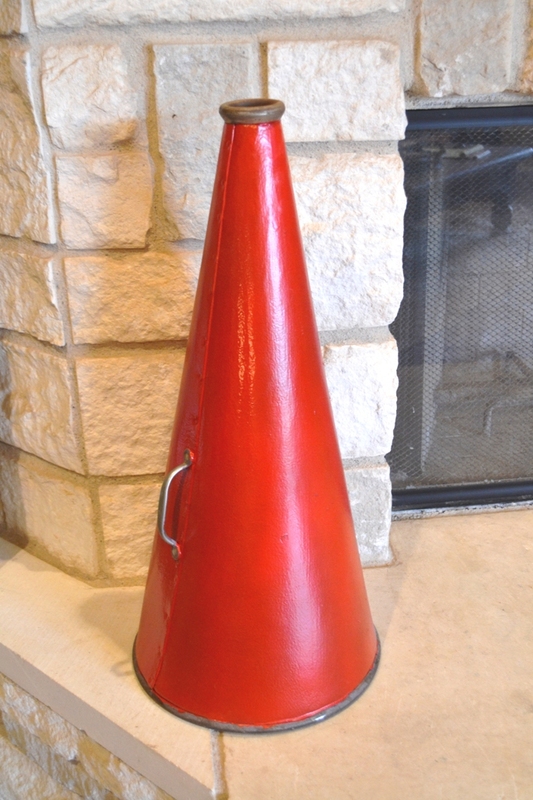 A fresh coat of red paint on an old megaphone (who knows how long I’ve had that thing, maybe junior high?) 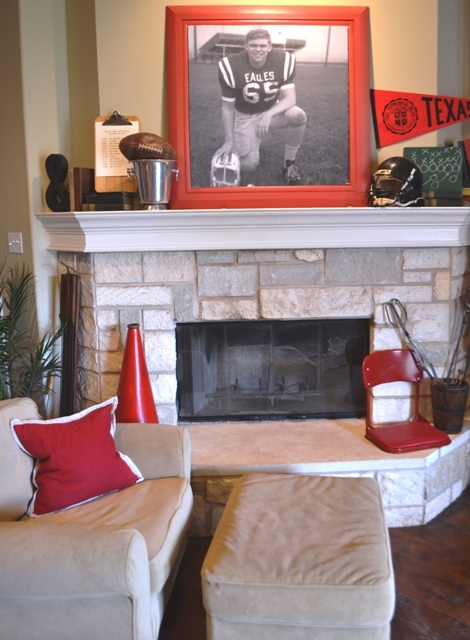 add a nice pop of color to the left side of the fireplace. 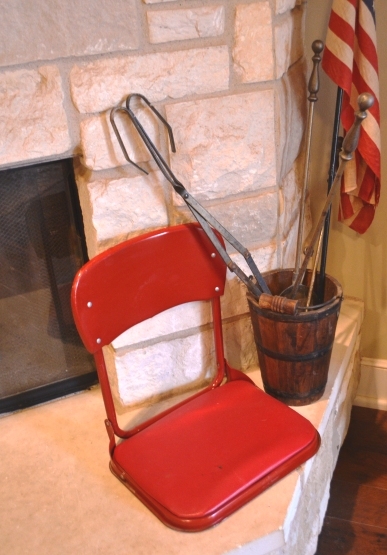 For the right side, a folding stadium chair (from an estate sale for $5) and my bucket of fireplace tools (yes, it’s almost time for fires in the fireplace!) make themselves at home quite nicely. 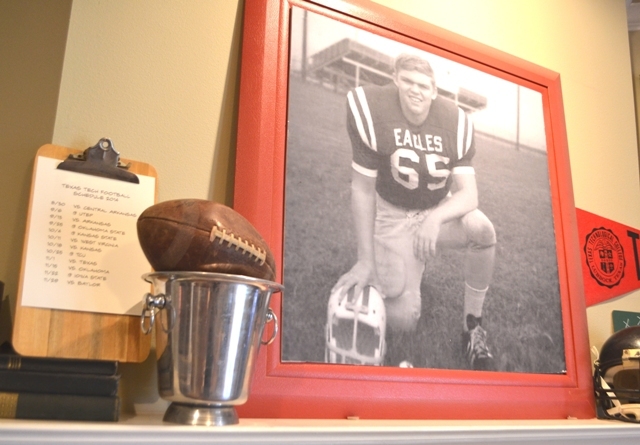 So here I am, all ready for fall, and especially ready for football season! 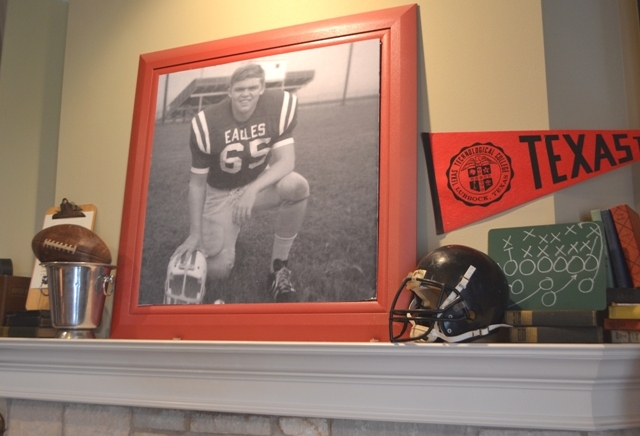 How do you deck out your mantle for fall? I’d love to hear!